What did you want so badly you were willing to be someone else to get it? Portuguese Artists Colony has been there, too, and we're willing to spill. Colonists Daniel Heath, Leslie Ingham, Caitlin Myer, Cary Tennis, and Benjamin Wachs will violate the rules and risk trouble with the bouncers. Just for you. 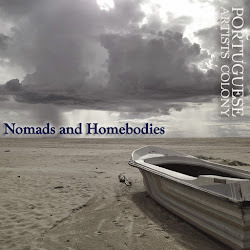 For October's show, Portuguese Artists Colony is on the move and appearing in the fabled Lit Crawl, part of Litquake, the West Coast's largest literary festival. The Crawl starts at 6, so you can get all warmed up, but when 8:30 comes, you know where you want to be.